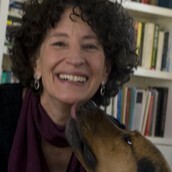 Barbara Rockman teaches poetry at Santa Fe Community College and in private workshops in Santa Fe, NM Her poems appear in Bellingham Review, Calyx,Cimarron Review, and Spoon River Poetry Review. She is editor of the anthology,Women Becoming Poems and founder of “Community of Voices,” a reading and music series for emerging artists. She has received the Southwest Writers Prize, The MacGuffin Poetry Award and Baskerville Publishers’ Prize. She earned her MFA from Vermont College of Fine Arts, and is the author of the poetry collection, Sting and Nest, 2011. Volunteer Coordinator, 2011 AROHO Retreat; AROHO Community Organizer.